The 43,000-square-acre Cape Cod National Seashore can be overwhelming, but the developer, Chimani, has created an app to help guide visitors through the park. It is one of 15 apps made by the Portland, Maine-based developer that act as guide books for different parks in the National Park System – each with its own unique animal icon. 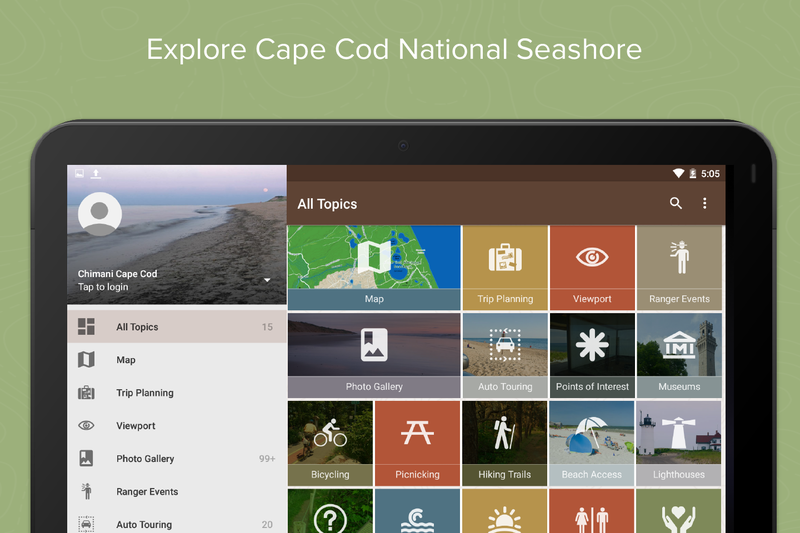 The Chimani Cape Cod app is full of useful information that can help you make the best of your time at the park. Free: Available on all major mobile platforms. Plus, you’ll have a cute seal icon on your home screen. Tons of info: The app features 25 different buttons, and each serves its own purpose. Some tell you about routes you can drive and ride your bike, where the points of interests are or what types of hiking trails are available. Others give tips on how to care for the environment, show tide charts for different locations or notify you about breaking news in the parks. Suggestion: When you come across something you like, touch the plus sign at the bottom right of the screen to add the page to your favorites and make it easier to find later. Trip planning: If you’re not sure what you want to do, touch the My Trip button inside the app to name your trip, choose a date and length, specify the type of trip you’d like to take (solo, family etc. ), and choose your interests from a list of activities, like boating, camping and hiking. The app will suggest things to do based on your input. Maps: The locator button at the top right corner of each page will bring up a map with icons that show you where to find what you’re looking for. Different maps show where the beach access points are, where the hiking trails start, and even where the best places to see the sunrise and sunset are. Suggestion: Download the maps that interest you before getting to the park. Data signals can be spotty inside the park and make it hard to load maps once you’re there.